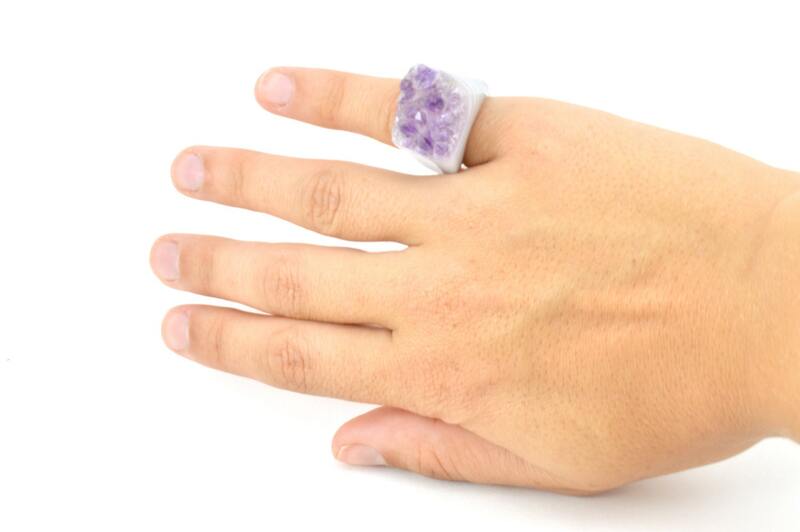 This ring is a beautiful piece to add to anyone's jewelry collection! 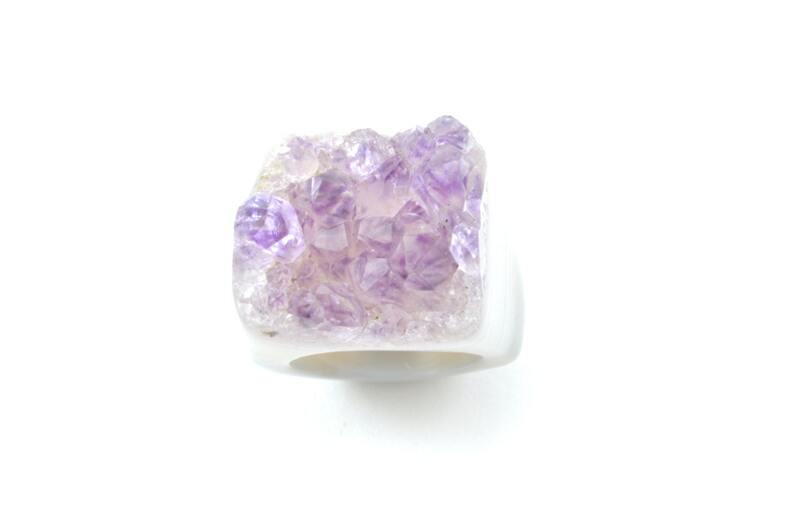 Made from a piece of agate, it features a brilliant druzy top that is natural amethyst . 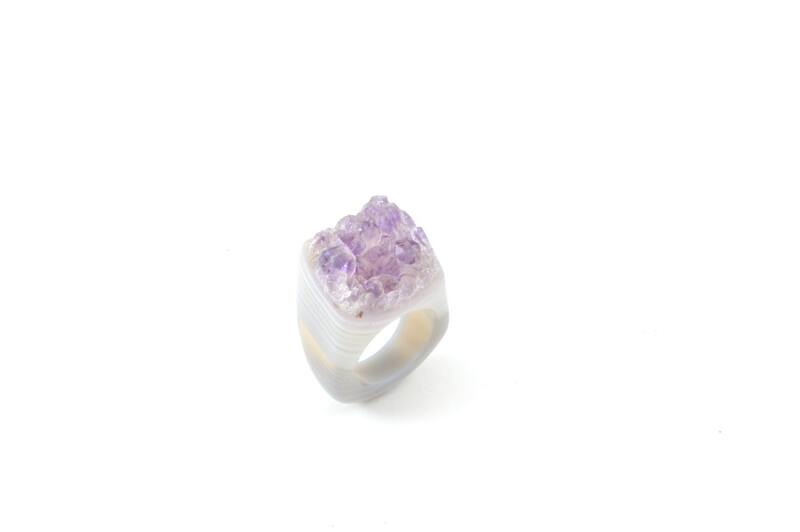 Its finger sizes is 6 or M UK finger size and cannot be resized due to the nature of the material. Before you decide on one of these rings you should know that they are not as strong as a metal rings and can chip and crack or even brake. 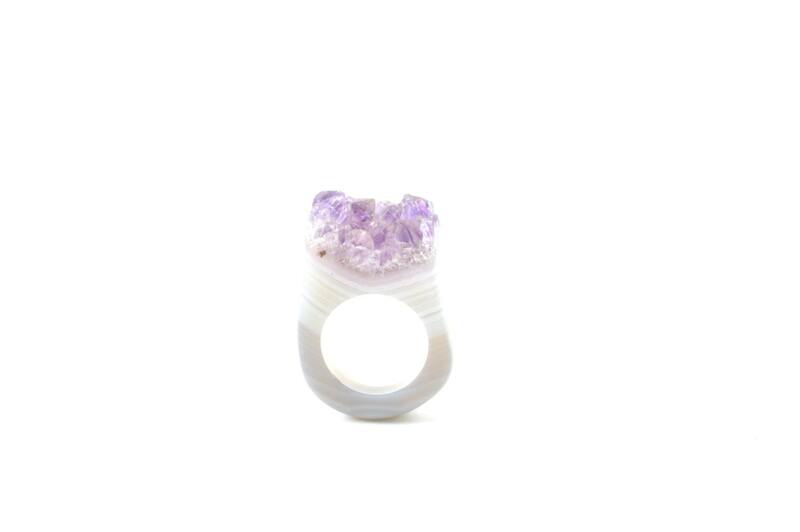 Which is not a problem as long as you are aware that they are not as hard as metal and treat the ring accordingly .